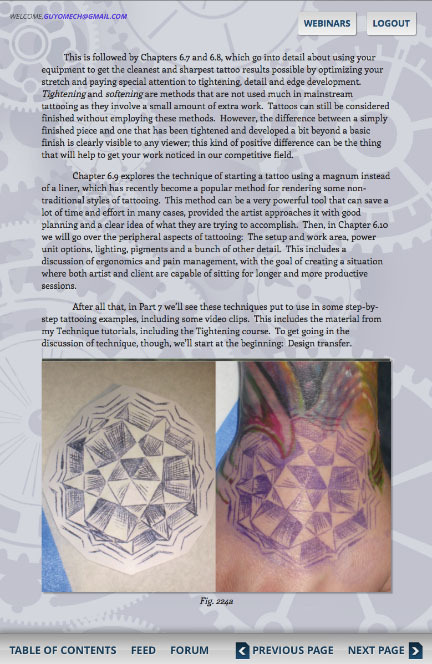 For those not familiar with the Reinventing The Tattoo curriculum, it's been the gold standard in art education in the tattoo industry for over 18 years and has helped thousands of artists to find their full potential as tattooists, including many members of our profession who are now among the biggest names in the industry. The material starts out by focusing on essential design principles such as flow and fit, contrast, positive/negative relationships, lighting, linework, and other important components in design composition. Then if takes you on a detailed review of working in other mediums, working with references, using digital tools, and in general making use of every available tool to enhance your design capabilities to their fullest. 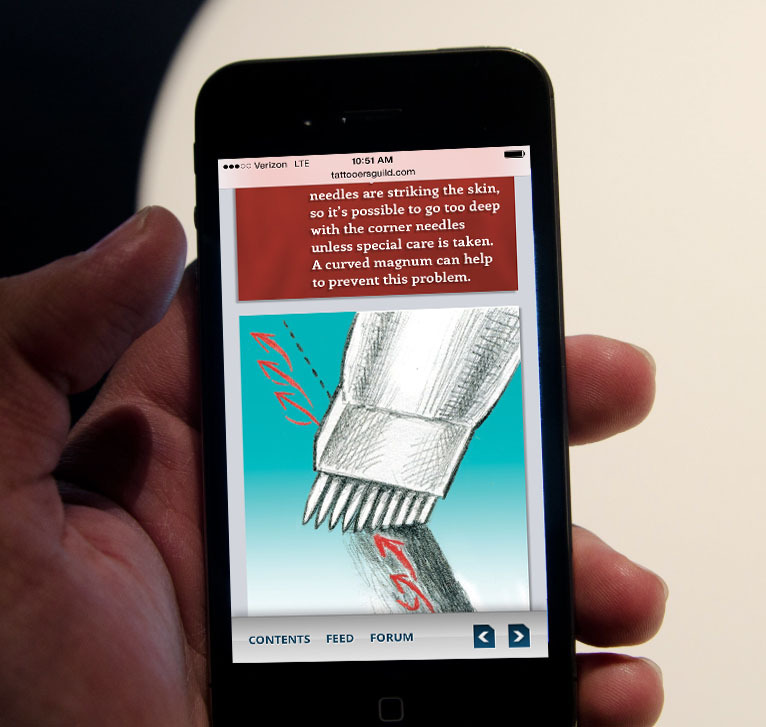 Then the technical chapters walk you through everything from setup to ergonomics to some very detailed instruction of actually putting the needle to skin, including hours of closeup video footage. Reinventing The Tattoo is as detailed and up-to-date as anything of its kind that has ever been published, and will only continue to become more sophisticated as more artists get involved. Subscribe now and start digging into all of the content!